Anyone know what this is about? They are currently selling field level ads for the NFL London and are owned by CBS Outdoor. Not sure how this bodes for the media contract talks with C-USA. Deal is for 7 years, so it's $4.2M over the life of the agreement. "Van Wagner’s new collegiate multimedia rights business is on the board with its first deal. 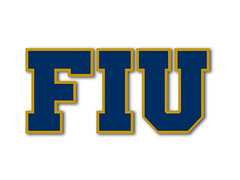 The agency has signed Florida International University, a Conference USA school, to a seven-year agreement that will pay the school an average of $600,000 annually." Interesting deal. I'm sure that Wagner will get a cut of all naming rights, media rights, advertising and ticket sales throughout our platform but frankly it will be worth it if they can improve what we have which is non-existent. So, David Neal...and FIU release....state the deal will mean (I guess reduction of some costs not to be duplicated and "value-added" costs) about $9.1 million, with comes to an average of $1.3 million per year for those 7 years. It seems Van Wagner will pay FIU and FIU is guaranteed to receive $600k per year, the other $700k estimated would come from "cost savings and value-added benefits". My first reaction is that, given what we've done in our history at FIU Athletics, it's a very good deal. At least a start in the right direction. With this money, it makes the "cost of attendance" increased expense for each scholarship athlete, a paid for expenditure. The new Van contract will pay for football scholarships. What will pay for the rest? FIU's maximum stipend per athlete, which is worked out via some formula in the financial aid office, worked out to around $6,000. Garcia believes that's one of the highest in the nation. That means FIU can offer an athlete that much cash above and beyond any scholarship for use on other expenses having to do with being a college student. Garcia believes that's one of the highest in the nation and could be a serious boon in recruiting.